As a nation, we’re working on reducing our plastic waste, having finally woken up and realised it’s everywhere and it’s going nowhere. Today’s blog is written for the warehouse and logistics industry, to help you discover non-plastic alternatives. A few quick swaps could help you achieve your plastic reduction goals. Now of course, we’re not going to eliminate plastic overnight, that would be nearly impossible for any business. But small changes here and there across an industry can really make a difference. Our favourites will always be traditional wooden pallets. As long as the wood sourced is from well managed forests, wooden pallets will always beat plastic. Plastic pallets have seen an increase in popularity over the years, and while there may be circumstances where they are more suitable, typically wooden pallets are as good or better for most situations. 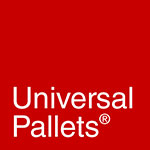 Wooden pallets are reusable, recyclable, upcyclable, eco-friendly and easy to maintain. When your wooden pallets return to us in their final unusable state as a pallet, they’re broken down and recycled into biofuel, animal bedding or even furniture and art. Nothing is wasted. Read our blog on Plastic Vs Wooden Pallets here if you’re thinking of making the switch. An essential warehouse item, especially when packing up a palletised load. However, you could stop spending on plastic wrap and use re-usable elastic bands instead. These are not your everyday office rubber bands, they’re larger and designed specifically for pallet loads. Plus they’re faster to put on and no messy plastic waste when you’re done. Paper tape has been around for a while now, and it’s actually pretty effective. One well-known online retailer uses nothing but paper tape, so why not give it a trial run? Every office worker knows that pens have a mind of their own, we lose pens on a daily basis, and more pens we’ll use around the office will be the cheaper plastic pens that you buy in bulk. So one quick and easy way to cut your plastic consumption is to go back to using pencils. They’re fully biodegradable, last longer than your standard pen (in fact they last 18 times as long!) and they’re cheaper! Sure you’ll probably need some ink pens around the office, and inevitably these wll use some plastic, but why not invest pens made from recycled or natural materials? It’s likely you have some sort of storage system at your warehouse, whether it’s holding supplies, paperwork or waste. And it’s also likely that these items are made of plastic. There are wooden and metal alternatives for all of these items, which may cost a little more, but you’ll likely get a longer lifespan out of them. 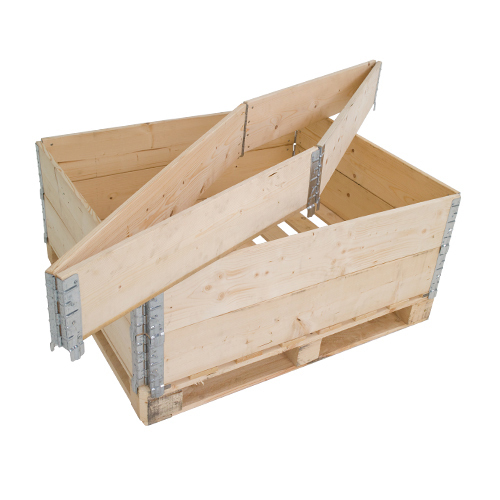 For example, your favourite pallet company sell wooden storage solutions. You can also fins metal storage lockers and drawers, or even have a woodworker build something to spec if a non-plastic product isn’t currently available. If you still have a stack of plastic cups by the water cooler, even if they’re recyclable, it’s time for a change. Not needing to recycle as much plastic is key on your path to using less plastic. Compostable cups are available for hot or cold beverages. Or you could even invest in metal branded water bottles, designed to hold hot or cool beverages to be handed out to your employees. The media are just starting to talk about the plastic used for clothing that is polluting our environment. Plastic-based clothing is cheap and easy to produce, but there are great alternatives that can actually go towards helping your H&S measures, due to the fact that synthetic clothing is not flame retardant. Finding plastic-free uniforms is tricky, if the option is there, pick a natural fibre like cotton. Plastic-free uniforms are likely to be expensive options, sadly. And when it comes to hard tats there really isn’t an alternative as of yet. However there is a recycling scheme, which is a step in the right direction when you absolutely must use plastic. So ensure your used hard hats make their way back into a new plastic product. Of course it’s hard to do all of these things at once, but if we can all make a few smaller changes here and there we can build up to our full plastic-free goals. If every business could make some of these changes today, we would be making a great leap in the direction of a plastic-free workplace.